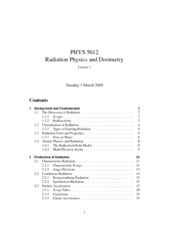 For radiation oncology trainees, be warned this is Radiation Physics, not Radiotherapeutic Physics. I am not saying,don't look, but this will be useful especially if you are interested in a more rigorous understanding of what you are studying. 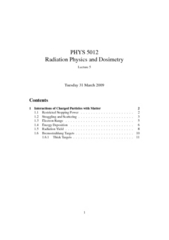 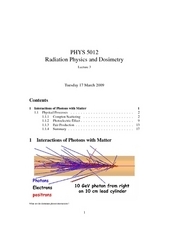 These lectures are based on the textbook Radiation Physics for Medical Physicists by Ervin Podgorsak (2006) which was linked on the previous page, and that they are part of the Radiation Physics & Dosimetry course for the M.Med.Phys. 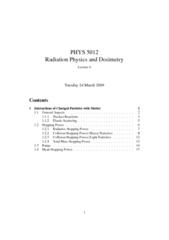 program at the Institute of Medical Physics, University of Sydney.